Take part in the most popular Danube Dinner Cruise and explore the glowing night cityscape of Budapest! The cruise includes dinner, fine drinks and soothing live music to set the mood for an evening on the Budapest Danube. 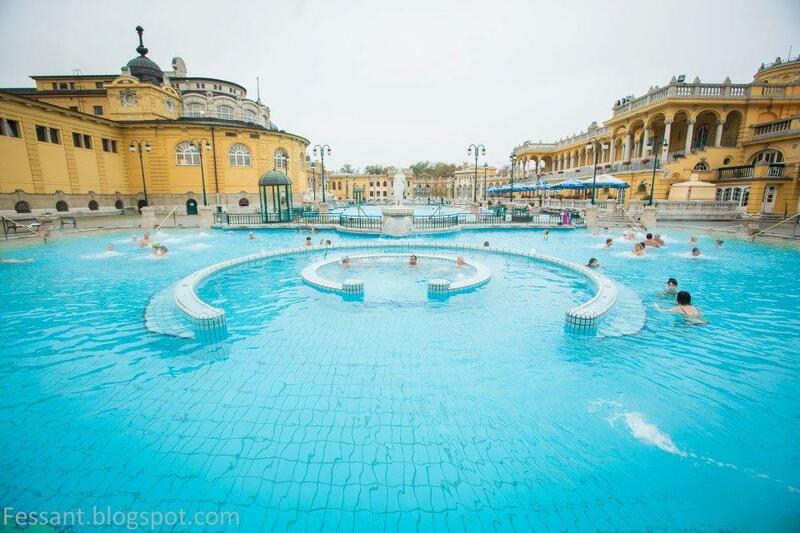 Combine it with entry to the Széchenyi Spa and have a relaxing spa day! The Széchenyi Spa is one of the greatest prides of Budapest with its immense size, majestic appearance and huge popularity. Having 15 pools indoor and 3 open air bathing facilities the spa is considered the largest in the whole continent. The 120 minute cruise will reintroduce you to the city’s most amazing sights by the riverbank. Please all your senses and sample the most popular dishes of Hungary while being serenaded by talented string musicians from the Rajkó folk ensemble. The tickets are valid for a whole day and include cabin usage. Upon entering the spa you will recieve a proxy watch, which will be the key for your cabin. You can enter the spa between 9AM and 6PM and are able to stay until closing time. Just be careful not to miss the Dinner & Cruise program if you book the two programs for the same date! Please note the ticket is only for one-time entry! You cannot exit and reenter the bath!